Engineers at IIT-Roorkee (IITR) are working on developing low-cost solar cells using solar cells. 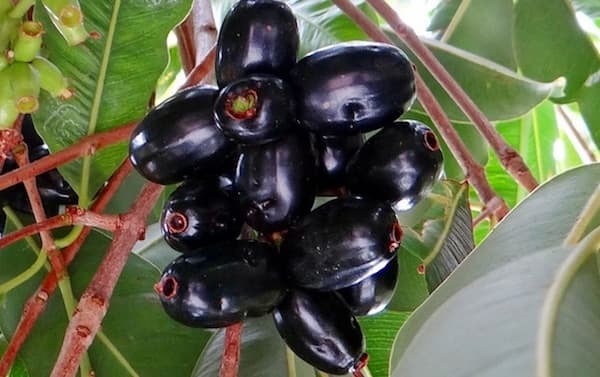 The pigment that naturally occurs in Jamun can be used as a cheaper photosensitizer for 'Dye Sensitised Solar Cells' aka DSSCs or Gratzel cells. These cells form a layer of porous titanium dioxide (TiO2) coated photoanode and a layer of dye molecules capable of absorbing the natural sunlight along with electrolyte and cathode. All these components form a structure where the dye molecule allows for absorption of visible light. The Government of India is also planning to have almost all cars on the road to be electric powered by the end of next decade. In order to achieve this dream, India will need to develop technology to deploy low cost solar cells accessible to everyone. IITR's research in this domain could be a big step in this direction.